At the beginning of the 20th century, in our eternal pursuit of brightness the carbon filament lamp gave way to the metal filament lamp. It marked the end of the cozy, warm-red shine that until then had brought the nostalgic glow of camp fires - but very little light - to people's homes. Even though the new lamp produced a bright and even light, it was perceived as unbearably harsh by many. Soon the unnatural bulb was hidden beneath lampshades, and it was not until modern maxims sought to make technology and function decidedly visible that tubular lamps and light bulbs were finally to resurface. The incandescent lamp, which had seemed far too glaring at the beginning, had a bright career in the decades to follow. It became such a common and deeply symbolic everyday object that the recent threat of its decline indeed evoked highly emotional responses. Even today consumers have been slow to warm to the energy-saving alternatives: While halogen lights and LEDs shaped like traditional lamps have been becoming increasingly widespread thanks to their familiar forms and light colors, the compact fluorescent light - the epitome of the "energy saving lamp" - is disliked by most. Its integrated ballast gives it a complex appearance, while the color of its light is still perceived as cold and unpleasant. Unlike natural methods of light production, in this instance the light is not generated by heat but through gas diffusion. Which removes it even further from anything that could evoke warm memories of prehistoric camp fires. What seems even worse, however, is the twirled loop design that accommodates its numerous coils. 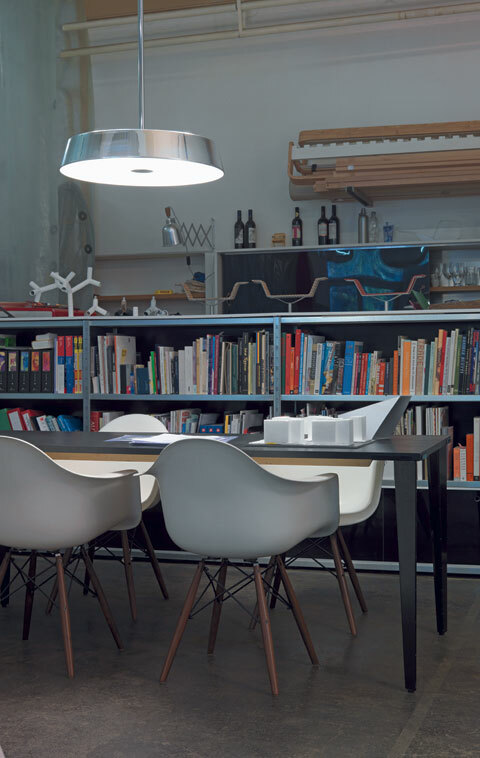 Many recent luminaire concepts that use the energy-saving lamp have therefore opted to conceal it as they once did its predecessor - by placing it in familiar forms and light boxes, between frosted diffusers and behind homey wood veneer, confronting the user with the illuminant's appearance only when it needs to be replaced. 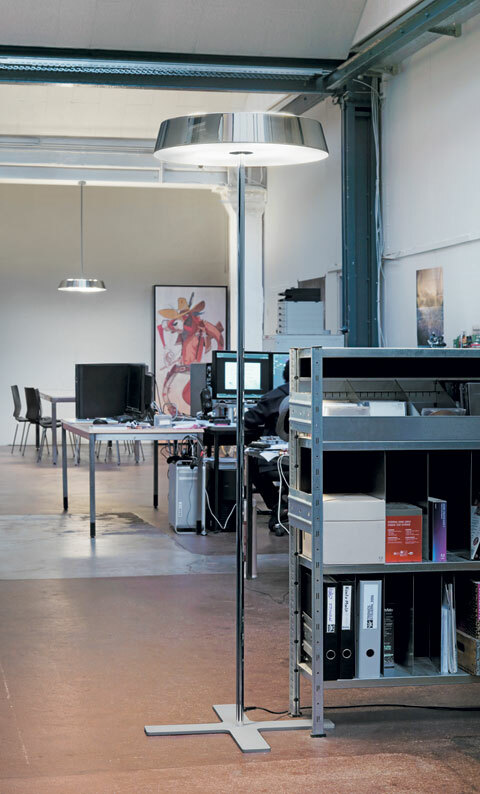 Naoto Fukasawa, one of the high priests of simple and understated design, has been first to create an office luminaire series for Belux that exploits the compact fluorescent light's aesthetic appeal as a stylistic means - by deliberately opting to make it visible. Cleverly, Fukasawa helps us embrace the unpopular product: by placing it in a simple, apparently archetypal lampshade made of metalized, semi-transparent acryl in which the fluorescent light only becomes visible when it is switched on. There it seems to glitter as if caught in a drop of mercury, like a shimmering silvery fish recognizable beneath the water surface only as a shadow. "KOI" plays a poetic game with the visible and the hidden, achieves to instill beauty in the fluorescent lamp hitherto so detested. All of a sudden, we seem to find aesthetic beauty and originality even in the unsightly illuminant. After all, we are for the first time able to perceive the actual shapes of fluorescent light - just as during a solar eclipse we are only able to see the shape of the sun through a pair of those silver-coated glasses. 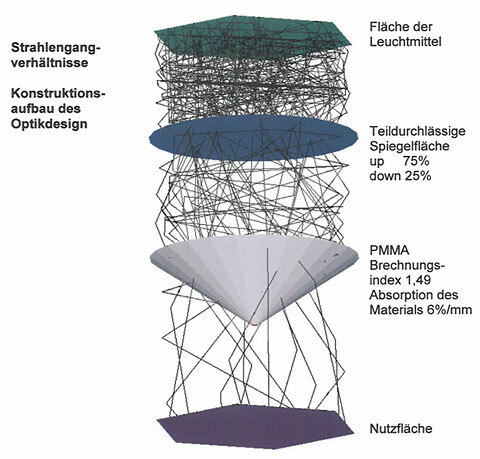 The design is reminiscent of Jurgen Beys' "Light Shades", which turns gaudy chandeliers into a bearable sight only after they have been covered by a semi-transparent, reflective shade; likewise Ingo Maurer's luminaire "Wo bist Du, Edison..? 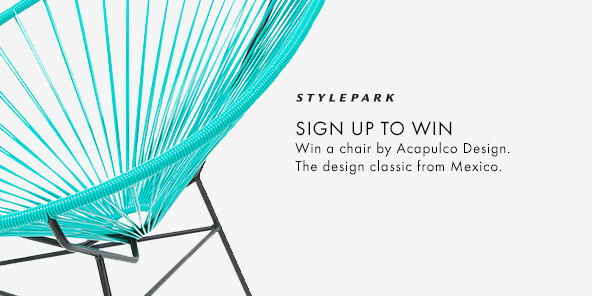 ", which celebrates the lamp's beauty through dematerialization. At the same time, Fukasawa uses his design to address modern topics such as transparency and honesty; he thus deliberately refrains from hiding the illuminant in overly historicizing forms or completely closed light boxes, or from matching it with apparently natural materials that are to reconcile us with the technology. "KOI" has a technical and honest appeal, just like those game boys or watches that use their transparent casing to boldly showcase their interiors. 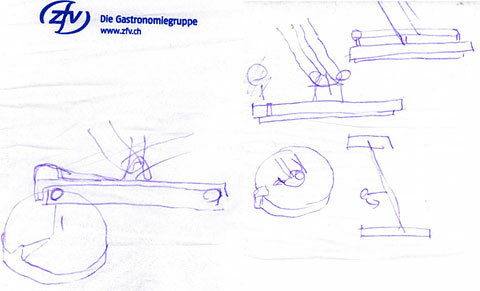 Though apparently simple, the luminaire's light engineering is rather complex. 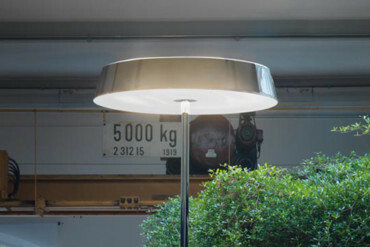 The use of light geometry and reflective effects in the large, flat luminaire head deliver superb efficiency levels. 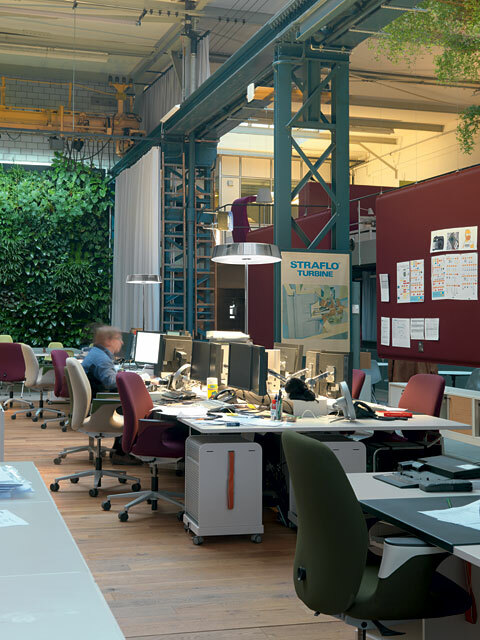 Just four illuminants in one luminaire provide sufficient light for four workplaces. 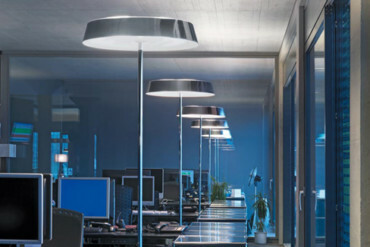 Despite the large dimensions required (a 57.6 cm diameter for the table luminaire and standard lamp, 62.5 centimeters for the pendant luminaire), the luminaire creates a floating and unusually cozy impression in an office environment. 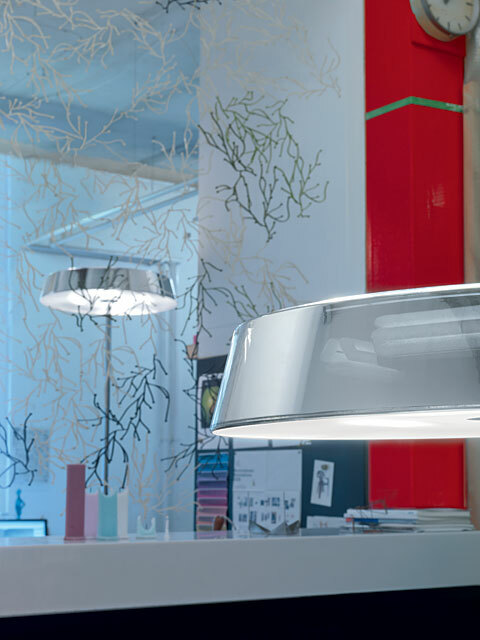 Perhaps the visible fluorescent lamp is able to introduce a playful element precisely for the reason that with "KOI", it has not yet had to prove itself in a home environment, but has so far merely been employed as a technical luminaire for office lighting. Naoto Fukasawa explains that he designed the transparent luminaire that way as he wished to merge the traditional lampshade and the modern light source into one high-tech symbol. 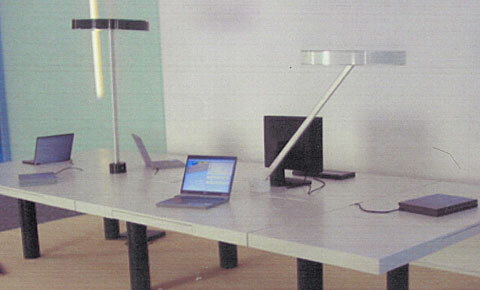 For him, more important than the visible lamp was to form a shade out of the archetypal luminaire head that would invite people to gather underneath, thus emphasizing a turning away from the box-shaped luminaires for open-plan offices that began to replace the ceiling-mounted light boxes from the early 1990s and initially reflected their forms. "KOI" acts as an intermediary between the office world and the home environment, between technical elegance and the familiar luminaire shape. It elevates the unpopular but useful illuminant to a high-tech statement and plays with the transparency of modern design. In a few years, the advances in LED technology may finally succeed in immaterializing the light in our homes and releasing it from individual luminaires that always also had a second function - as pieces of furniture. By then, even the compact fluorescent light will most probably be sadly missed. Be that as it may, in the form of "KOI" Fukasawa has already captured the transitional lamp in a silver floating shrine and demonstrated that even the energy-saving lamp with all its loops and coils can be truly beautiful in a technical and bizarre sense - if seen through the appropriate filter.